Our State of the Art Clinic is located on Quartermaster Road in Chalan Lau Lau. The first thing you will notice when you pull into our large parking lot is the park-like setting, with orchids, palm tree, and green lawns. When you step into our main waiting area you may enjoy free Wi-Fi, the local papers, and a wide variety of reading materials. Each of our treatment rooms are tastefully decorated and most have windows to view the outside while you are receiving treatment. Your visit will end with one of our office staff assisting you with your treatment and billing questions. The mission of the Saipan Seventh-day Adventist Clinic is to provide excellent Dental Care for our community based on Christian principles. 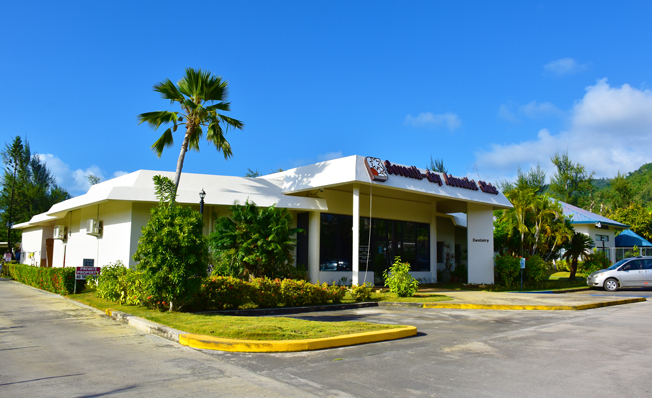 The Saipan Seventh-day Adventist Clinic is owned and operated by the Seventh-day Adventist World Church organization. We are here to serve as Christ served His Community in a compassionate, ethical and moral way. We work to restore the image of God and to make man whole in body, mind and spirit. We invite your comments as to the fulfillment of our Mission and Philosophy. Saipan Seventh-day Adventist Clinic has been active in the dental care need on Saipan since 1972. Our Clinic was founded by Dr. Fisher in a small converted house in Susupe. In 1989 we expanded and moved our clinic to our current location centrally located on Quartermaster Drive. We offer the entire range of dental treatments and procedures at transparent and printed prices standards for all patients.